‎A proud mama I am! 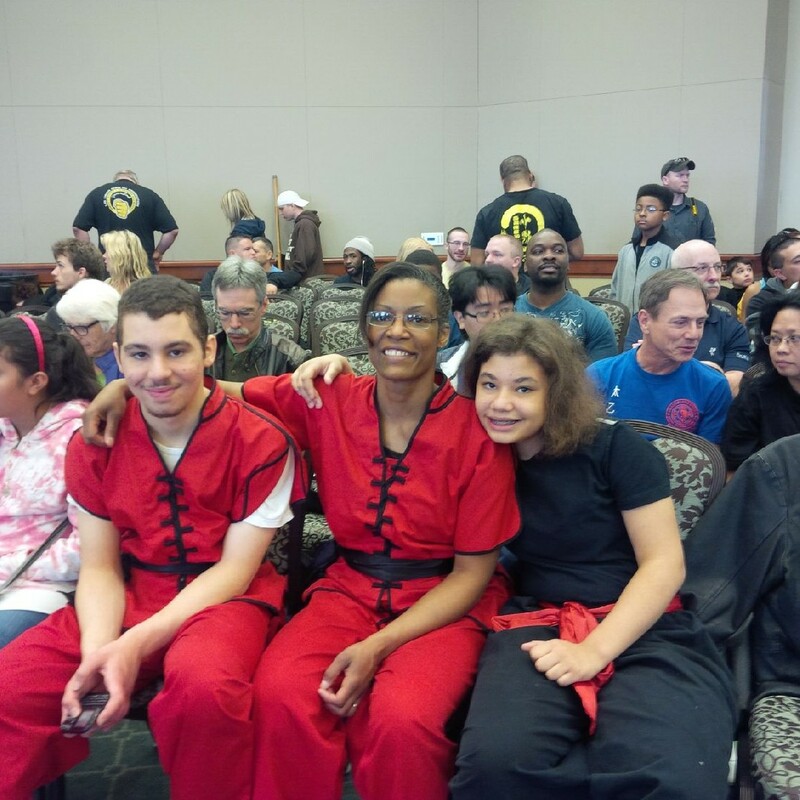 About five long hours after this picture‎ was taken, my children left the tournament floor with their first medals in kung fu… and training plans for the next competition! Even my better half, sitting through the day on camera and cheering duty while nursing a torn meniscus‎, is anxious to get an event under her belt, now. Looks like I’ve started something. And so far, so good! This entry was posted on Saturday, March 22nd, 2014 at 9:33 pm	and tagged with competition, happiness, lifestyle, martial arts, motherhood and posted in Family, Humor, sports, Uncategorized. You can follow any responses to this entry through the RSS 2.0 feed. Many thanks – and to you. Thanks – and thanks for following. That stinks about the torn meniscus. It is awesome that your family bonds over martial arts. Have you ever considered trying out Western Martial Arts? I learned about WMA weapons sparring for my medieval weapons site and think it would be cool to try out. Wanted your opinion as a martial arts specialist. Thanks for reading and commenting. I don’t know anything about western martial arts, beyond what I’ve seen in the movies – and what a friend has told me about fencing. But if it feeds your soul, works your body and doesn’t completely incapacitate another, go for it.